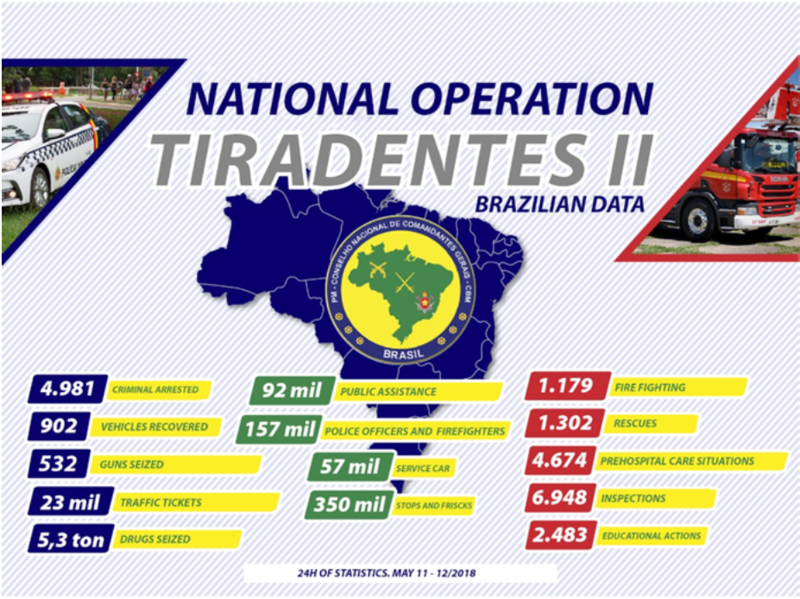 On 11th May, the National Council of General Commanders of Military Police and Military Fire Brigades (CNCG) led a national operation, which was the biggest in Brazilian history. The joint effort was done by all 27 military police forces and 27 Military Fire Brigades, which are aggregated in the National Council. Therefore, the whole of Brazil was covered on this national military operation. All forces acted in their own area and constitutional task. 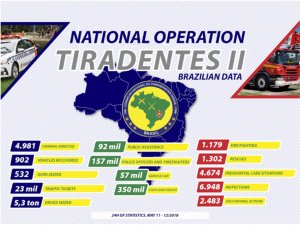 Further to the provision of security for the Brazilian population, one of the operation aims was to show the impact of one shift of 24 working hours of the Brazilian states military forces. The decision about the operation was taken by all General Commanders in one CNCG encounter, and its proved to be worthwhile. Among other findings, more then 5 (five) tons of drugs were discovered, almost a thousand stolen cars recovered and nearly 5 (five) thousand criminals were taken off the streets. The operation was named Tiradentes, who was a military police officer in the rank of Alferes during the eighteen century. He was killed during fight for Brazilian liberty and is the patron of the Brazilian military police forces.